I had very few bosses that inspired me during my 15 years in corporate America. Most of them internalized their role as a cog in the corporate machine and expected me to do the same. They received their marching orders from on high and passed a subset of them on to me. Working for them was like eating the same bowl of corn flakes every day knowing that there must be a way to score a blue corn tortilla breakfast burrito somewhere else. Eventually I was exposed to some true leaders that I found myself attracted to—people who looked and sounded different. It took me a while to figure out why I wanted to work for them but it turned out to be quite simple. They knew where they were going. People who have a personal vision have a twinkle in their eye and a spring in their step. They are living with a purpose and their daily progress toward their vision builds confidence and leads to a belief that anything is possible. And those people are just fun to be around. If you want to be an inspirational leader, start by developing your own personal vision and by making sure you are doing work and living life in a way that allows you to make progress toward it. The best advice on how to develop a personal vision that I have come across is through a process called Creative Tension, a term coined by an MIT professor, Peter Senge, in his work on learning organizations. Creative Tension is a force that is at work in anyone who has taken the time to think deeply about the ideal life that they would like to live and comparing it to a brutally honest assessment of their current reality—the life that they are actually living. The juxtaposition of where you want to be when compared with where you are sets up a tension that pulls you forward. Making progress toward a personal vision and, just as importantly, encouraging your team members to do the same thing will dramatically change the feel of a workplace. People who have the opportunity to make progress toward a life vision are motivated and happier. And yes, occasionally the development of a personal vision will result in an employee who realizes that they may have to change jobs in order to go where they want to. But that’s OK. The organization would lose that employee eventually anyway, and the loss of an uninspired employee is more than offset by a team comprised of employees who are experiencing personal growth. The easiest way to understand what I’m talking about is to set aside some time to work through the following exercise designed to develop a personal vision. By answering each of these questions two times—once while thinking about your current reality (the way things are today) and a second time while imagining that you are in your ideal job, home, etc. The prompt to “Transform” is an invitation to list the elements of a personal plan that would move you from your current reality toward your envisioned life. Once you start the process, you’ll never stop. And people will never see you the same way. You will be one of those people who seems to know where she is going—because you do! Describe: What do you do for a living? What kind of a company do you work for? Do you work alone or with a team? What are your responsibilities? What values and strengths do you apply in your work? Do you like your job? Why or why not? Describe anything you can about the type of work you do, how you feel about it, and how it is valued. Transform: Based on this reality, what changes would be necessary to move from your current reality to your personal vision? Describe: Where do you live? What is your home like? Is it a good fit for you? How do you feel when you walk in the door? Describe: Who are the important people in your life. Spouse? Family? Friends? Business associates? Pets? Do your relationships make your life more fulfilling? Describe: Are you healthy, fit, and full of energy? What do you do to achieve that? Do you manage your stress? Do you maintain a positive outlook? How? Describe: How do the important people in your life describe you? Why do they treasure the opportunity to work with you, hang out with you, or love you? Describe: What are the activities that recharge your batteries or give you satisfaction outside the work environment? How often do you do them? Why do you enjoy them? Describe: How much money do you make? How much discretionary income do you have after all of your bills are paid? What is your net worth? Are you saving money for the things you want in the future? What things do you have that are important to your lifestyle? Describe: What do you do to give back? Does it bring you a sense of fulfillment and purpose? Transform :Based on this reality, what changes would be necessary to move from your current reality to your personal vision? Describe: If faith is important to you, how do you observe it? What role does it play in your life? Describe: Do you feel that you are fulfilling your life purpose? Not to be overly morbid, but if you died tomorrow, what would your legacy be? Want to lead? First take the time to figure out where you are going! 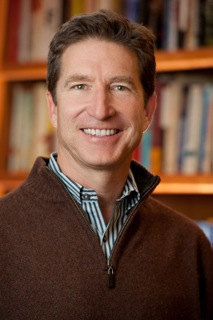 Mark Hopkins earned engineering degrees from Cornell and Stanford and then spent the next twenty-five years deciphering the factors that make some people prosperous, successful and happy After building a leadership career with companies like Hewlett Packard and Emerson Electric, Hopkins founded Peak Industries, a medical device contract manufacturer, which he grew to $75 million and later sold to Delphi. He then founded Crescendo Capital Partners, a private equity firm, and Catalyst, a private foundation supporting Colorado-based nonprofits and micro-lending in the developing world. 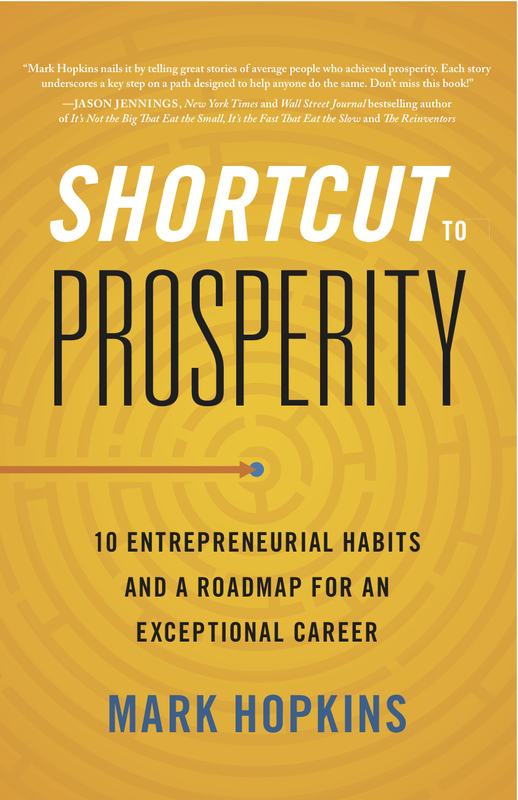 He is the author of Shortcut to Prosperity: 10 Entrepreneurial Habits and a Roadmap For An Exceptional Career. For more information, please visit www.shortcuttoprosperity.com and follow Mark on twitter @10shortcuts. This entry was posted in Uncategorized and tagged career, career advice, entrepreneur, lead, leader, leaders, leadership, Mark Hopkins, personal development, professional development, Shortcut to Prosperity. Bookmark the permalink. I love the 10 areas that are examined here – and the depth of this post.